The news from the Georgia Department of Public Safety was not good; deaths on Georgia highways during the Holiday period rose again in 2017. For just the Holiday period alone, there were 11 reported traffic fatalities. In 2016 there were 8 fatalities in the Holiday period. The Department of Public Safety is reporting, thus far, 1499 traffic fatalities for the entire year, down from 1561 in 2016. Perhaps the Georgia Department of Transportation’s safety program “Drive Alert Arrive Alive” is working. The PSA campaigns on television and social media that warn against drunken or distracted driving may be playing a positive role, too. The National Highway Traffic Safety Administration’s “Drive Sober or Get Pulled Over” is not only catchy, but is seen in every state. Throw in the ride services now readily available, like Uber and Lyft, and you simply have fewer folks on the road, which, necessarily, will mean fewer deaths. Actual studies of whether these ride services are making a difference in traffic deaths show the jury’s still out on whether they really make a difference. Georgia can be proud. 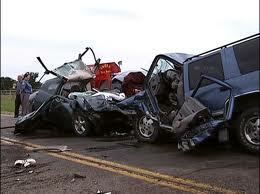 Nationwide, traffic fatalities continue to climb. But not in Georgia. And that’s a good thing. Stay safe out there, Friends.